of cocoa, a crackling fire, the comfort of a roof four walls, and no wind. And like a dream come true, with the blink of an eye, you witness a hut, the very place that could supply the wants of humanity. Yet, it is after considerable effort that you will be allowed to feel humane…. 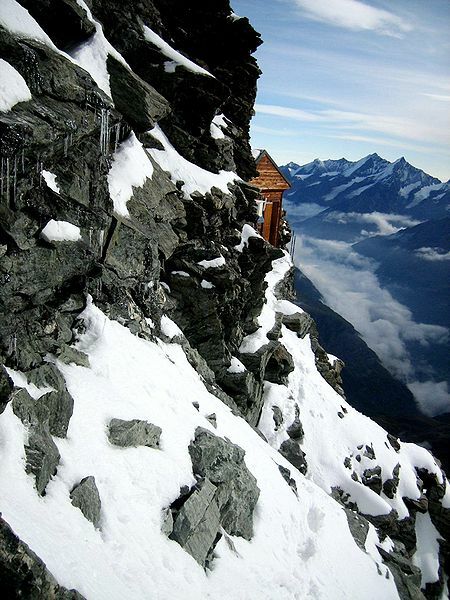 At a height of 4,003 meters on a rocky ridge of the Matterhorn, Switzerland’s iconic, triangular peak, is the Solvay hut, managed by the Swiss Alpine Club. It has room for only ten daredevils who will have to venture uphill through the must inhospitable terrain. The steep, icy paths and frozen breath and sweat will improve your appetite considerably. Since 1983, the Rifugio Nuvolau has been a refuge for exhausted trekkers, providing comfort and solace to those trudging in Italy’s dramatic Dolomite Mountains. 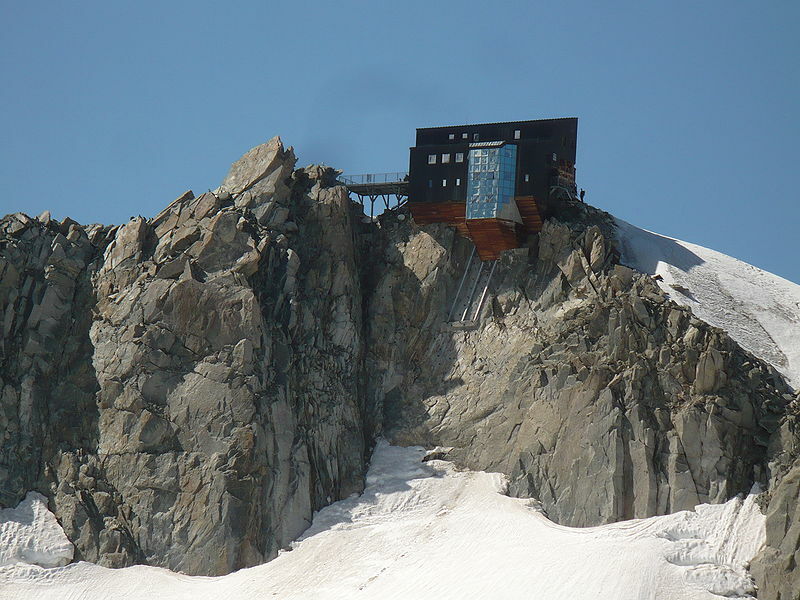 Even during World War 1, the 2,575m high hut served as a point for surveying situations on the summit. Besides a flashback in history, the location will provide a bed, eatables, and the jolly company of other outdoorsy souls like you. 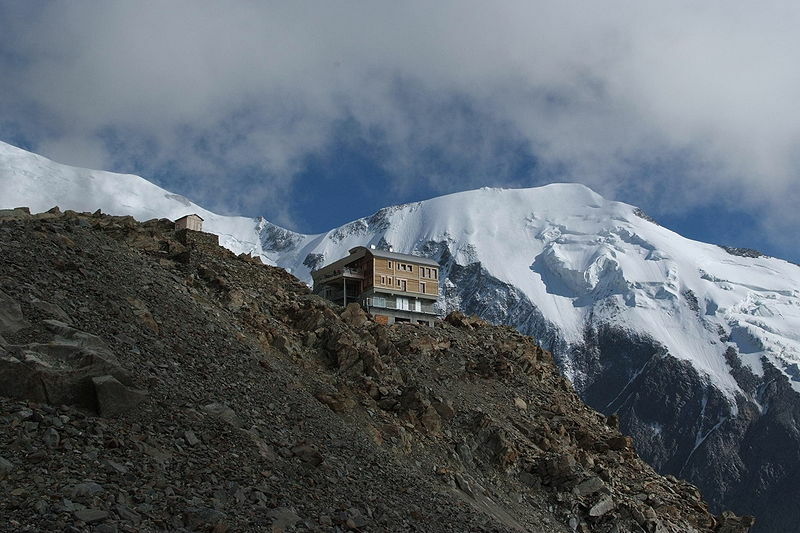 If you don’t feel like staying at the Solvay Hut, Matterhorn can offer you a roof at the Hornli Hut. 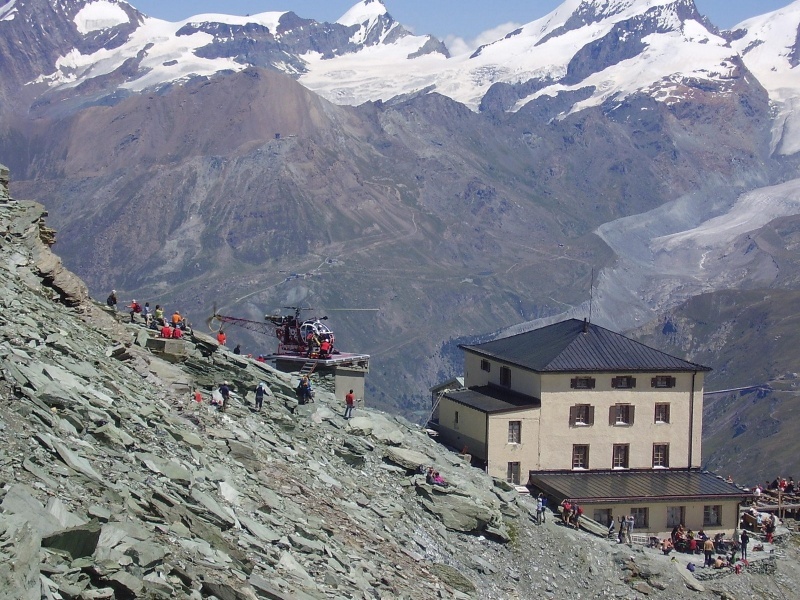 There is a happening “launching pad” situated at 3,260m on the base of Matterhorn. When you get weary of the stunning views, rest majestically on a two-tiered bunk bed made for twenty dreaming about the delicious Swiss rosti (potatoes and cheese) and homemade fruitcake that they have devoured. Here is a place, the French, Swiss and Italians can all enjoy. 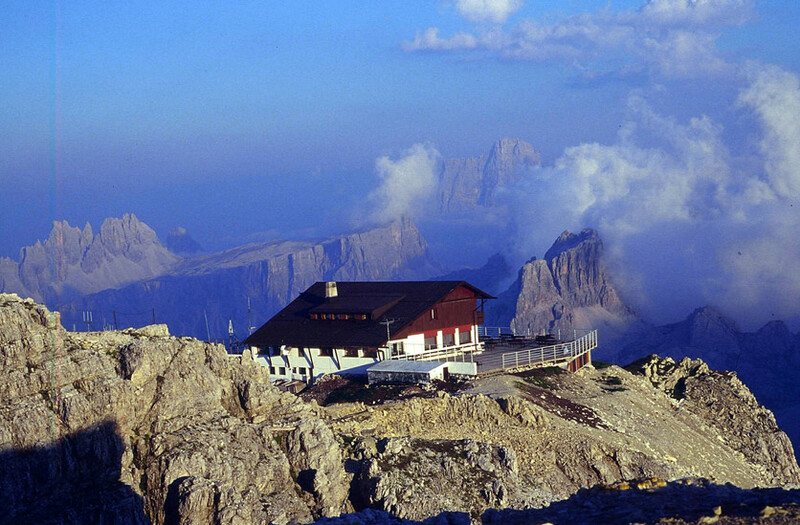 Situated at an outcropping 3,647m in the North West Mountains of Italy, the Rifugio Gnifetti is a highly equipped place providing warmth and free showers. It is a bit of a discomfort getting there, sharp rocks and sliding trails, but well, it is definitely worth the trouble. Trekkers, skiers and climbers will be relieved to find Refuge des Cosmiques (3,613m), on the incline in France, positioned a bit carelessly amidst the fascinating ski village of Chamonix. The cosmos’ hospitality is up-to-date and enjoyable, just what a tired hiker longs for. Amidst the gigantic shapes, you’re longing for a homey feeling, baked goodies, vegetable stews, wine beverages, in other words; a full belly, Cabane Bertol is the place for you. 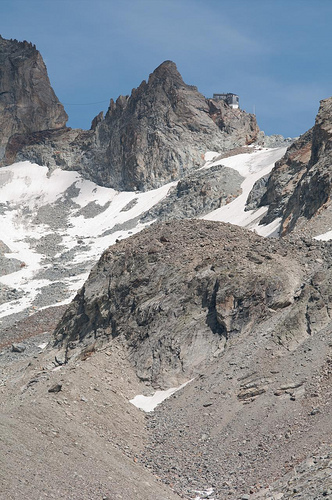 Haute Route is a lengthy walking trail connecting Chamonix to Zermatt and it is tough for the mountain climbers to ascend to reach the much rewarding Cabane Bertol (3,311 meters), by a series of fixed ladders and chain. 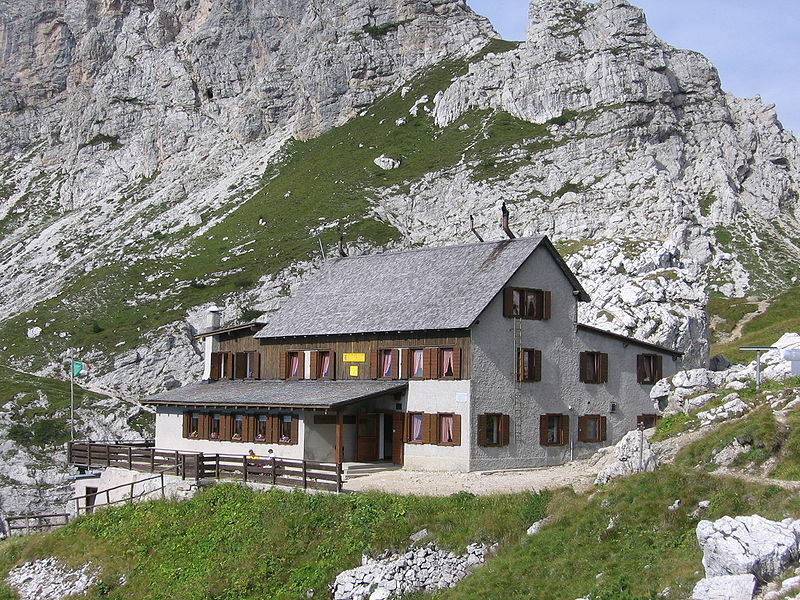 The Rifugio Lagazuoi, is less a hut than a mountainous haven. Alma and Guido, the beaming keepers of the Italy’s Alta via 1 paradise point will exceed your expectations of hospitality; offering private accommodations, a lively bar, and a pleasant restaurant to eat in. The path to the hut has obstacles of course, but what follows will make every step of the way, worth it. Don’t forget to order the apple strudel – a local specialty. 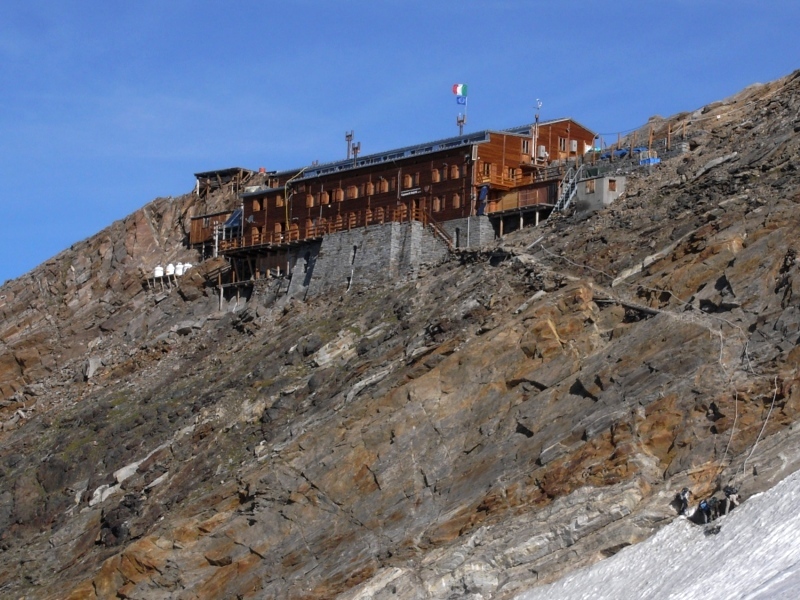 2,135m above the rest of the world, Rifugio Coldai is another reminder of modern civilization on the Alta via 1. 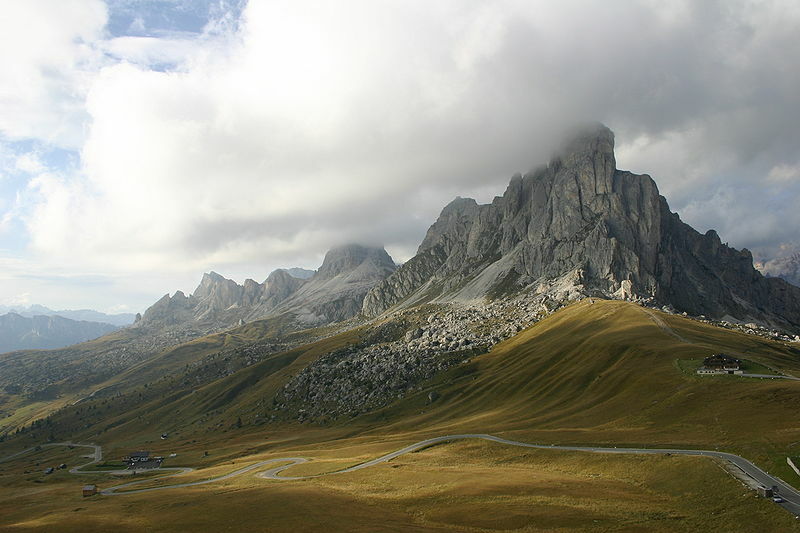 The bold ones who venture into the rugged terrain of Dolomite will not be disappointed by the lit and dry dining room, with a serving of homemade gnocchi drizzled with olive oil, fresh minestrone soup, and a towering tiramisu, exploding with rich mascarpone cream. It will be enough to forget the 175 miles of trekking with your nerves on hold. 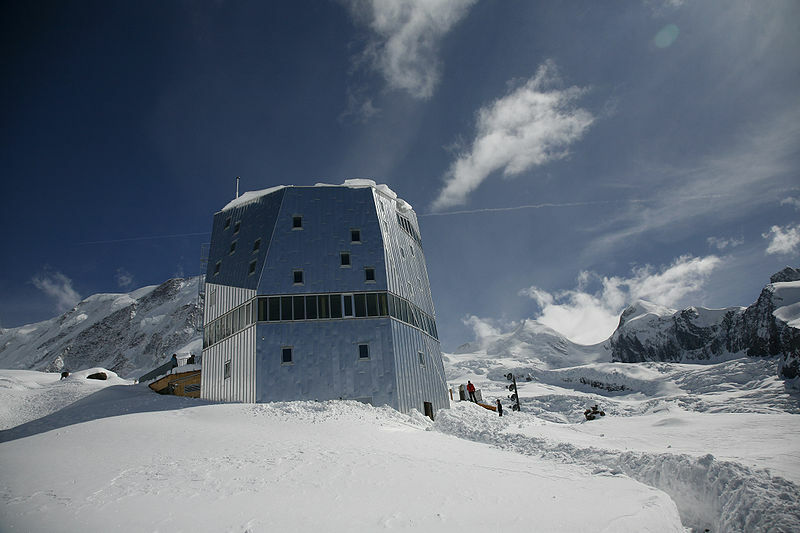 The Swiss news outlet that entitled the Monte Rosa hut, as a “futuristic Eco-hut” could never have spoken more truthfully. Completely reconstructed in 2009, 2,883m on the base of the highest peak in Switzerland. It is a beautiful building, blending in with its splendid environment. Stainless steel, aluminum, and wood, satisfy 90 percent of its energy needs through solar power; very Eco-friendly.